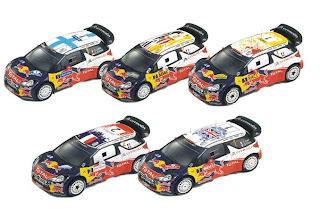 We have just received these two stunning 1:43 scale IXO Diecast replicas of S Loeb's 2011 Championship winning Citroen DS3 WRC Rally cars. Both models are now in store for only £29.99 each, please see below for full details. Here at Hart Motorsport we have received some very rare and long since sold out Minichamps 1/43 scale F1 cars back in stock. 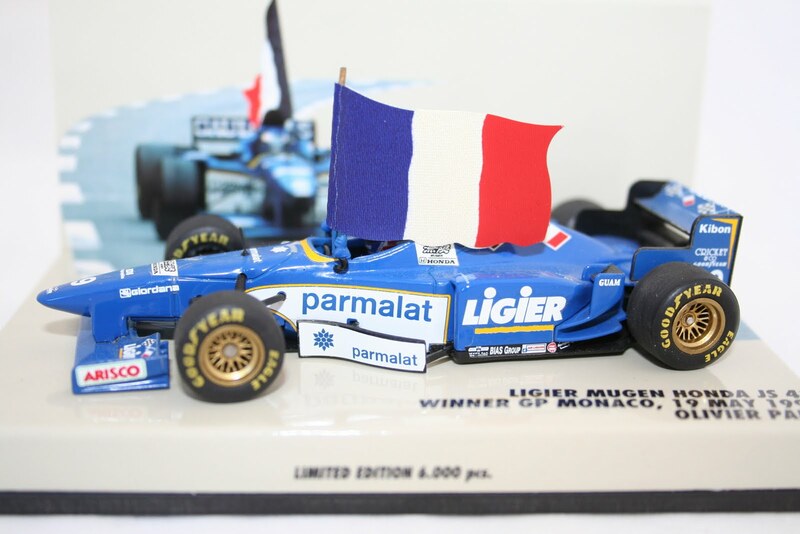 Now available is this stunning Ligier JS43 in which Olivier Panis surprised everyone with by winning the 1996 Monaco F1 GP. 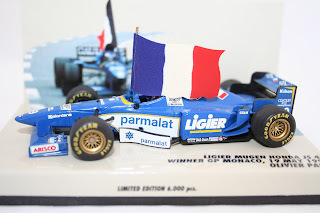 The model comes mounted on a special Minichamps inlay card and has Panis holding the French flag. 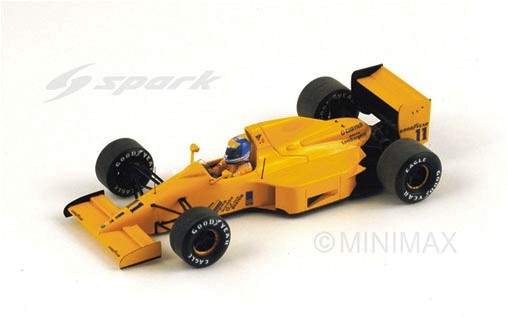 Also in stock is Alain Prost's 1985 Championship Winning McLaren MP4/2B F1 car plus two McLaren M26 F1 cars from 1978 as driven by Tambay & Giacomelli. 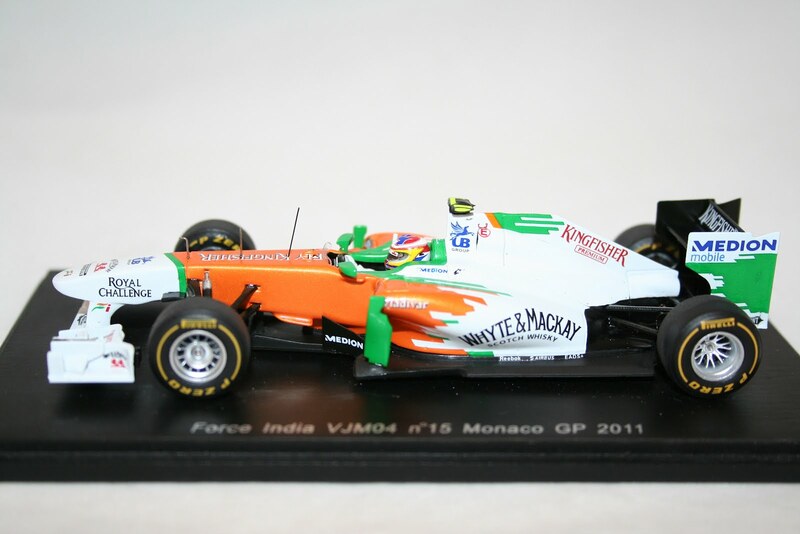 We also have a rare Arrows A22 F1 car as driven by Jos Verstappen in practice for the 2001 Monaco GP that features a very high front wing. For details on all these models please visit our store below. Now in stock here at Hart Motorsport is this stunning 1:43 scale Minichamps Diecast Red Bull RB7 as driven by S Vettel to the 2011 Formula One World Drivers Title. This model has already sold out at suppliers and we expect it to sell out fast, as all Championship models seem to. To get yours today for only £46.99 plus postage please visit our website below while stocks last. 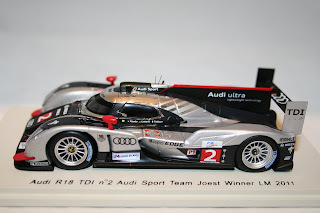 Please visit us at www.hartmotorsport.co.uk for full details. All the above models are currently in stock in our store below but we do expect them to sell out very soon. Check out our store below for full details. Please visit our store below for details and prices and the above models plus 100's more. 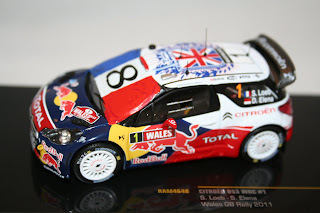 Spark models have just announced that they will be releasing a further five very limited edition Citroen DS3 Rally cars from the 2011 WRC Season. Due in March will be the following 1:43 scale models. 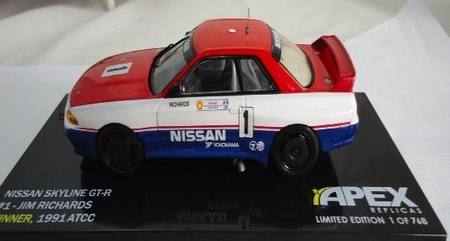 Due to the very low number of models that are being released we expect these models to sell out very fast. These models are available to pre order now and no deposit is needed. 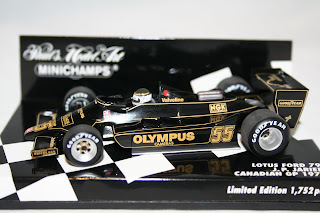 You will not need to pay for the models until they have been released and are here in stock. For more details please visit our store below. 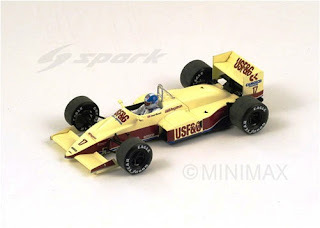 Spark models have just announced another five exciting 1:43 diecast replicas that are due for release in April 2012. 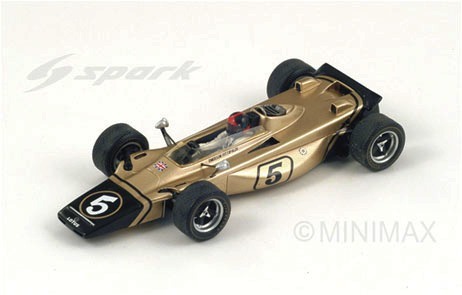 Coming soon will be an Arrows A10 and Lotus 102 both driven by Derek Warwick. 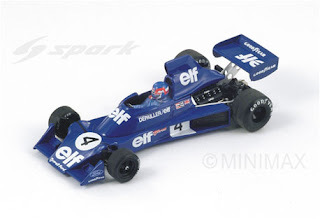 We will have the above Shadow DN8 as driven by Alan Jones and the Tyrrell 007 below as driven by Partick Depailler in stock. 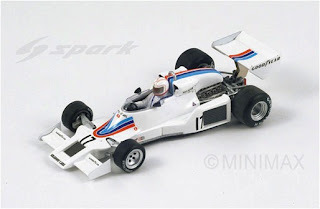 Also due in April is a BRM P154 Can AM race car in Castrol colours. For pre orders or details on any of our in stock models please visit our store below. 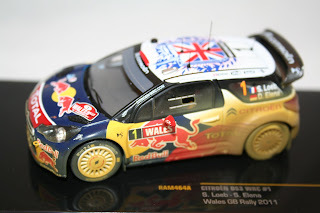 For full details and prices on these models please visit our store below. Spark Models have just announced four new 1:43 scale models that will be released in March this year. 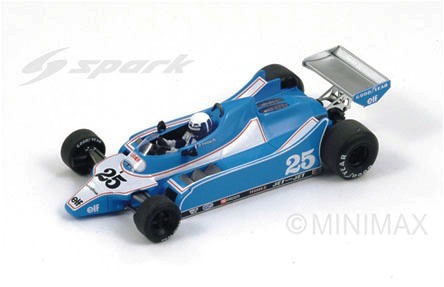 Coming soon will be the above Ligier JS11 F1 car as driven by Didier Pironi, a Shadow MK II Can Am Car plus two Lotus 56B F1 cars, driven by Emerson Fittipaldi and Dave Walker. For details on pre ordering please don't hesitate to contact us via our store below. 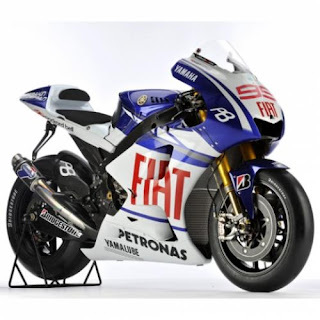 Here at Hart Motorsport we are expecting Jorge Lorenzo's 2010 Championship winning Yamaha M1 by Minichamps in stock next week. All previous Lorenzo models have sold out within a few weeks of being released and we expect the same for this model, especially as it is a Championship winning bike. As normal the model will be 1:12 scale, have removable engine covers, rolling rubber tyres, turning front wheel and a paddock stand. 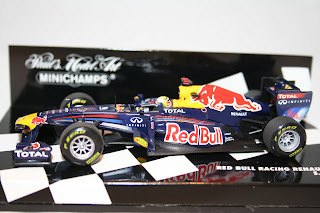 Also new from Minichamps next week will be the Lotus Renault R31 driven by V Petrov in the 2011 F1 Championship. 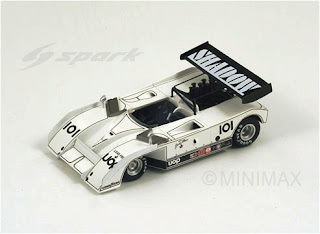 New from Spark models we are expecting more stunning Audi R18 TDI Endurance cars, more Citroen DS3 WRC Cars a Porsche 917K from 1971 and Rene Arnoux's Renault RE20 as driven to victory in the 1980 Brazilian F1 grand prix. For pre ordering or details on any of our other models please don't hesitate to contact us via our store below.